Want to see nature at its finest? 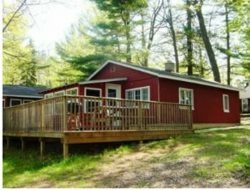 There are hiking trails throughout the area to provide peace and quiet along with seeing the beauty of what the Northwoods has to offer. Walking the trails in any season will provide you with scenes that you�ll never want to forget ~ the regrowth of spring, the activeness of the summer, the colors of autumn and the crispness of winter all give you an idea of the ever changing seasons. What a great experience!